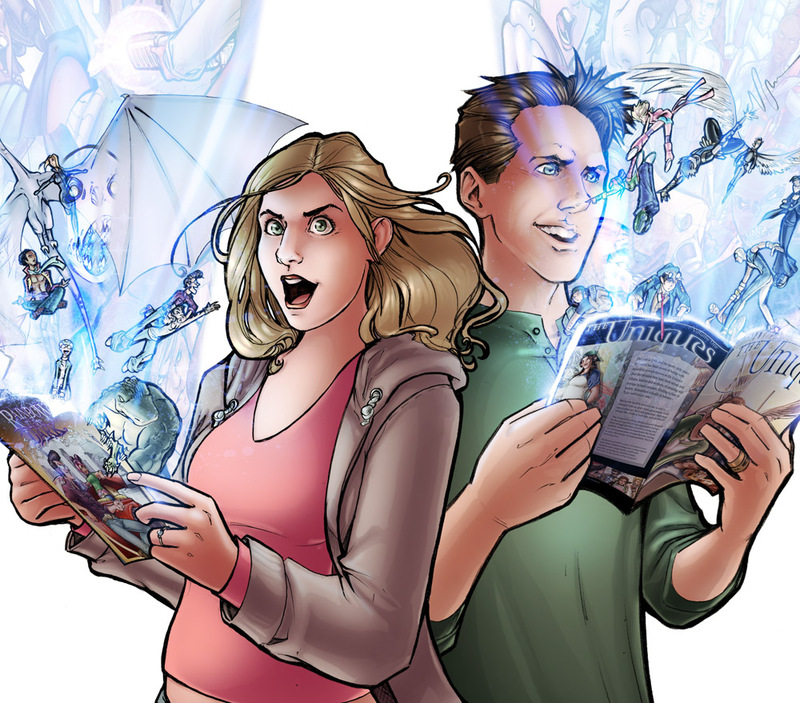 Comfort and Adam are an award-nominated husband and wife comic creating team. They write, draw, color, letter, and design all their work together as an equal duo. Comfort and Adam made their name as professional self-publishers with their acclaimed series The Uniques and Rainbow in the Dark. They also wrote a massive how-to book for Random House called The Complete Guide to Self-Publishing Comics and the internet-exclusive series Kitty Game (with artist Corinne Roberts). When they’re not working on their comics, you can find the couple as guests of comic and anime conventions from coast to coast. They are also educational and motivational speakers, educators, and still find the occasional moment for a side-gig in writing and illustration here and there. Comfort and Adam believe in the philosophy that great stories and art can be both fun and challenging, and you don’t have to choose between entertaining an audience and making them think. In their work, they always seek to do both. They live in Grand Rapids, MI with our six cats. When they’re not drawing, writing, or answering messages they can frequently be seen walking up and down the trail behind their house talking about stories. We do a lot of things, but chief among them is make comics! We have three epic series with more on the way. Click the links below, read, and explore worlds we’ve created. An urban fantasy about a world of color and a world of gray, at war over the fate of mankind. Adventure inside the fantastic worlds inside a scrappy little kitty’s over-active imagination. Want to make your own comic, manga, or webcomic? Let us help you! Helping people learn to make their stories a reality is one of the most important things we do. 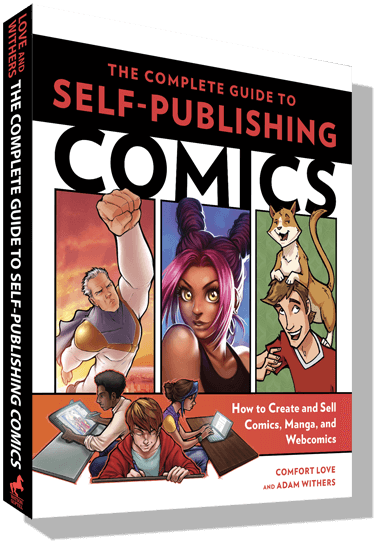 Process videos, step-by-steps, and our how to book The Complete Guide to Self-Publishing Comics are all here for you! We’re guests of 15-20 conventions across the country each year. While there we sign and sell books, prints, and original sketches! We also run one – three of our popular panels/seminars per show. Click here to find out where we’re going next, as well as a list of what panels we run. Want us to come to a convention near you, request us as a guest or contact us here! Comics, original art, and merchandise can all be found at our store page! Like us and our work? Then consider supporting us by with your hard earned dollars by picking yourself up something awesome! From signed comics, to t-shirts, to prints and original art – our store has got you covered!